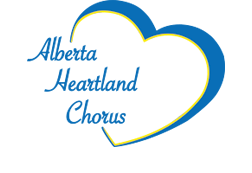 Nancy joined Alberta Heartland Chorus in January of 2017 and is excited to take on the role of Administrative Coordinator for this fabulous chorus. Having been a member of Sweet Adelines for 15 years, Nancy has sung in two other choruses and has participated in various teams within the choruses including the management team as Communications Coordinator, Music Team as assistant bass section leader and tape listener, Motivation Team member and Show Committee member to name a few. Nancy has always loved music and singing, but is particularly passionate about the unique barbershop style of Sweet Adelines. She says there’s nothing better than harmonizing and ringing chords, especially when you can do it along side talented, dynamic women every week! She is particularly proud to be part of Alberta Heartland Chorus and singing with these amazing, fun, supportive friends who have now become family. It really is a “chorus with heart”.